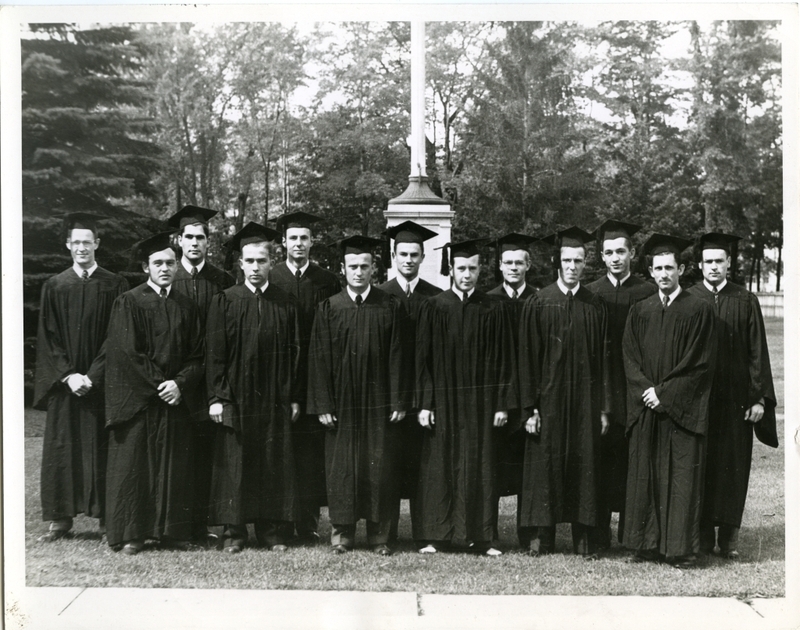 Group portrait of the Bowdoin Class of 1942 in their caps and gowns. Back (left to right): Robert M. Paine, Richard W. Hyde, William T. Mckeown, Alfred W. Burns, Curtis F. Jones, Edmund L. Coombs, Charles M. Boothby. Front (left to right): Laurence H. Stone, Horace B. Tylor, Julian E. Woodworth, Donald F. Mileson, Andrew B. Carrington Jr., Morris E. Curiel.